South Australia is taking dynamic steps to implement a pilot program to assist the startup entrepreneurs for establishing their business in the state. It has allocated $400,000 for this task. A visa in this regard was initially announced in March 2018. Home Affairs Minister Peter Dutton gave an undertaking regarding the pilot from SA before it is nationally rolled out in 2019. Moreover, it will facilitate business growth and increase investment in Australia. The Government will also increase job opportunities, and take measures to give a boost to the economy by welcoming startups in establish their operations in Australia. This visa aims to be different from the present entrepreneur and Business & Innovation visas. It will not need the mandatory funding outlay. The applicant needs to show vocational proficiency in English language. 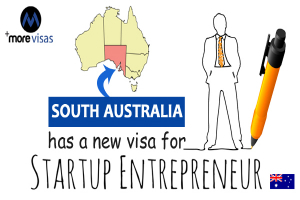 The South Australian Premier, Steven Marshall said that this new visa will help overseas entrepreneurs and investors, having an innovative idea, and a business plan, to apply for a temporary visa, for establishing their business in the country. The State/Federal Government will examine these proposals and the businessmen establishing their venture successfully in Australia will earn the eligibility to apply permanent residence. The SA pilot will have a run of four years. There are 30 places allocated in the first year, and the number of visas, keeps increasing each year. David Ridgway, the South Australian Trade Minister, said that the new visa, will work for growing the local entrepreneurial culture. It has the potential to give an employment to South Australians. Presently, there is no clarity regarding any financial requirements applying to the applicants. Broadly, they need to below 45 years and have vocational level English. The required band is 5 in each component of the IELTS. They must also meet the requirements regarding finance, health, and character set by the Federal Government. Furthermore, this arrangement will lead to many participants applying to seek permanent residence in South Australia. They can develop their business plans, and convert them to successful enterprises. This measure will create new companies, and add jobs in the state. It will encourage more investment, in such sectors of economy, which have a great capacity to grow. It will also provide a boost, to advanced manufacturing and defense technology, as the Government has decided, to have the Naval Shipbuilding Program, in South Australia.